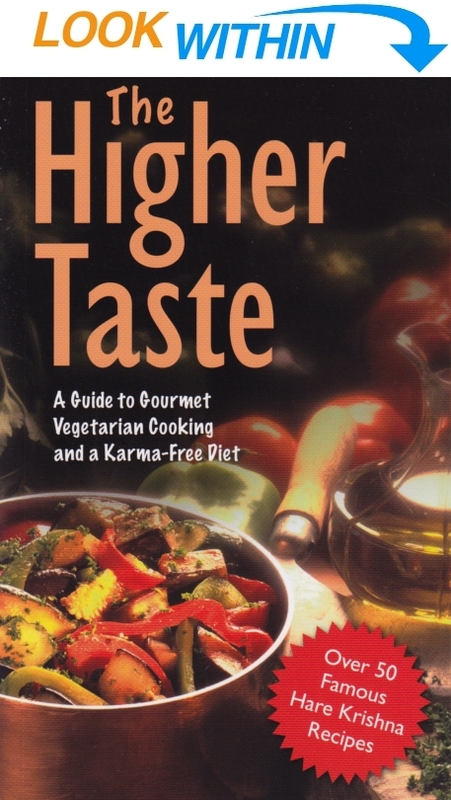 Higher Taste has great recipes, and all the ecological and moral reasons to become a vegetarian. Over 50 delicious recipes from Italy, India, Mexico, the Middle East, and other countries. This revised edition includes ecological and moral reasons to become a vegetarian. The meat industry is a powerful economic and political force, and besides spending millions of its own dollars to promote meat-eating, it has also managed to grab an unfair share of our tax dollars. Practically speaking, the meat production process is so wasteful and costly that the industry needs subsidies in order to survive. Most people are unaware of how heavily national governments support the meat industry by outright grants, favorable loan guarantees, and so forth. In 1977, for example, the USDA bought an extra $100 million of surplus beef for school lunch programs. That same year, the governments of Western Europe spent almost a half-billion dollars purchasing the farmers’ overproduction of meat and spent additional millions for the cost of storing it. More tax dollars go down the drain in the form of the millions of dollars the U.S. government spends each year to maintain a nationwide network of inspectors to monitor the little-publicized problem of animal diseases. When diseased animals are destroyed, the government pays the owners an indemnity. For instance, in 1978 the American government paid out $50 million of its citizens’ tax money in indemnities for the control of brucellosis, a flulike disease that afflicts cattle and other animals. Under another program, the U.S. government guarantees loans up to $350,000 for meat producers. Other farmers receive guarantees only up to $20,000. A New York Times editorial called this subsidy bill “outrageous,” characterizing it as “a scandalous steal out of the public treasury.” Also, despite much evidence from government health agencies showing the link between meat-eating and cancer and heart disease, the USDA continues to spend millions promoting meat consumption through its publications and school lunch programs. Another price we pay for meat-eating is degradation of the environment. The United States Agricultural Research Service calls the heavily contaminated runoff end sewage from America’s thousands of slaughterhouses and feedlots a major source of pollution of the nation’s rivers and streams. It is fast becoming apparent that the fresh water resources of this planet are not only becoming polluted but also depleted, and the meat industry is particularly wasteful. In their book Population, Resources, and Environment, Paul and Anne Ehrlich found that to grow one pound of wheat requires only 60 pounds of water, whereas production of a pound of meat requires anywhere from 2,500 to 6,000 pounds of water. And in 1973 the New York Post uncovered this shocking misuse of a valuable national resource—one large chicken slaughtering plant in America was found to be using 100 million gallons of water daily! This same volume would supply a city of 25,000 people. Influenced by factors ranging from health and economics to ethics and religion, millions of people around the world are turning to a vegetarian diet. In America alone, ten million people now consider themselves vegetarian. Among those who have renounced meat are many celebrities—film stars Gloria Swanson, William Shatner, Dennis Weaver, Samantha Eggar, Candace Bergen, and Sandy Dennis; recording artists Michael Jackson, Paul and Linda McCartney, George Harrison, John Denver, Johnny Cash, Jeff Beck, Chubby Checker, Graham Nash, David Cassidy, Johnny Rivers, Captain and Tennille, Alice Coltrane, Annie Lennox, Chrissie Hynde, Donovan, Stevie Wonder, and Todd Rundgren; models Brooke Shields and Christine Brinkley. In sports, the list includes Chris Campbell (1981 world wrestling champion), Aaron Pryor (welterweight world boxing champion), Edward Moses (world record holder for 400 meter hurdles), Robert Di Costella (Olympic marathon champion), Anton Innaver (Olympic ski champion), Killer Kowalski (wrestler), and the entire Seibu Lions (Japanese) baseball team (who won the Pacific League championship two years in a row after switching to a vegetarian diet). The Higher Taste clearly explains the many reasons why people stop eating meat. But beyond that it contains over sixty gourmet vegetarian recipes that are guaranteed to carry you beyond the pleasures of ordinary food into new realms of epicurean delight. If you ever thought that being a vegetarian means eating only limp steamed vegetables and cold salads—you’re in for a big surprise. In The Higher Taste you’ll learn how to prepare complete, nourishing, taste-tempting meals. How about an evening in Italy, with savory minestrone soup, a hearty spaghetti main course complete with veggie-balls in tomato sauce, breaded zucchini sticks, hot ricotta-stuffed calzone, and a Neapolitan cheesecake for dessert? The Higher Taste will show you how. You’ll also find equally delicious Chinese, Indian, French, Mexican, and Middle Eastern dinners. And best of all, these tested recipes have all been chosen for their simplicity, quickness, and ease of preparation. Just as important as the ingredients we use in cooking is our consciousness. The Higher Taste shows how anyone can turn a daily chore into a blissful, enlightening experience. Preparing karma-free vegetarian food is an integral part of the topmost system of yoga and meditation described in the timeless teachings of India’s Vedic literature. In Bhagavad-gita Lord Krishna says, “If one offers Me with love and devotion a leaf, a flower, fruit, or water, I will accept it.” One who prepares pure, natural vegetarian food and then offers it to the Supreme will automatically feel an awakening of sublime spiritual pleasure in the heart. Along with trying the recipes, be sure to have a look at the opening chapters of The Higher Taste. They explain the whole philosophy behind spiritual vegetarianism, and reading them will help you prepare food in the best possible state of mind. Chapter One reveals how modern medical research has shown links between meat-eating and killer diseases such as cancer and heart disease. Chapter Two exposes the myth of a worldwide food scarcity and explains the economic advantages of a vegetarian diet for society and the individual. In Chapter Three, the ethical foundations of vegetarianism are set forth, focusing on the writings of some of the world’s greatest philosophers, authors, and religious leaders, among them Pythagoras, Plato, Leonardo da Vinci, Rousseau, Franklin, Shelley, Tolstoy, Thoreau, Gandhi, and others. The principle of nonviolence, as found in the teachings of Judaism, Christianity, Buddhism, and Hinduism, is also examined. An analysis of how the laws of karma and reincarnation are related to vegetarianism forms the basis of Chapter Four. Chapter Five explains in detail the rationale and procedures for offering vegetarian food to the Supreme Lord as part of the bhakti-yoga system. In Chapter Six, excerpts from the writings of Srila Prabhupada, India’s greatest authority on Vedic culture, provide a concise, highly readable summary of the philosophy underlying the spiritual vegetarian diet outlined in The Higher Taste. An appendix provides an overview of the Krishna consciousness movement’s varied God related activities—vegetarian restaurants, self-sufficient farm communities, food-relief programs for the unemployed and underprivileged, and more.